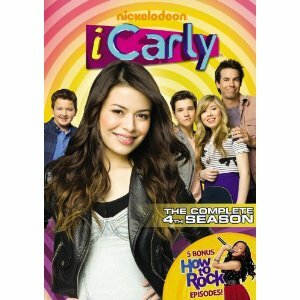 iCarly The Complete Fourth Season came out on DVD, today. Making it through the challenges of high school life while hosting a web show, can be more than a little bit difficult. This hilarious show follows the lives of four friends Carly, Sam, Freddy and Gibby as they live their everyday antics and have a blast doing it. But its not all fun and games, iCarly touches on some serious topics including relationships with family and friends, addiction, child labour and the trapping of fame, however all of these are presented in an entertaining and funny way. In the fourth season Carly starts dating a super smart guy and the gang gets a visit from a VIP. As new relationships form, others are tested. The season is filled with special episodes that will please a long time iCarly fan or a newbie who just discovered the show all tweens are talking about.